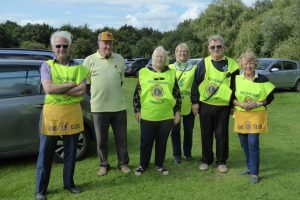 Henley Lions were asked if we would park cars at the Twyford Village Fete which took place on Saturday, 19 August 2019. It was our first time to undertake this event but found it to be very successful. The team of six Henley Lions parked 219 cars which raised £657 for charity. Half of the funds will come to our Lions Charity Fund with the other half going to Twyford Village Council’s charitable causes. Thankfully, the weather on the day was excellent which helped swell the crowds attending. We look forward to making this an annual event in our fundraising calendar. © 2018 The Lions Club of Henley-on-Thames. All Rights Reserved.